Uber Technologies has agreed to provide next month its diversity data, which it had earlier declined to make public. Representatives of the ride hailing company will disclose the information at the PUSHTech2020 summit on April 19 in Silicon Valley. The move comes at a time when the company has run into a number of controversies, including sexism charges leveled by a former employee, the exit of some key executives and a lawsuit from self-driving car rival Waymo. The announcement follows a meeting Thursday between Uber CEO Travis Kalanick and civil rights leader Rev. Jesse Jackson, founder and president of the Rainbow Push Coalition, which has been demanding higher representation for minorities in tech companies, according to a statement issued by the coalition. Jackson has prodded a number of companies including Google, Apple and Intel to reveal their diversity data, which have shown that women, Blacks and Latinos are underrepresented in tech companies in Silicon Valley. Uber’s figures are unlikely to be radically different. The company said last month that 15.1 percent of its employees in engineering, product management, and scientist roles are women. “Creating a more diverse and inclusive company is a top priority and it starts with releasing our demographic data, which we will do very soon,” Kalanick said in a statement released by Rainbow Push. Uber could not be immediately reached for comment after business hours. That the company had changed its mind over releasing a diversity report became evident after the crisis around the sexism charge. Liane Hornsey, the company's chief human resources officer, said this week during a press call that a diversity report was on its way by the end of the month, while Kalanick had earlier said that he and Hornsey were working on a diversity report but did not specify a date for its release. The ride-hailing company said last month that it would appoint former U.S. Attorney General Eric Holder to a panel that would investigate allegations by a former engineer at the company that it mishandled her complaint of sexual harassment. The employee, Susan J. Fowler, had alleged in a blog post that women in the group she worked in had quit because of discrimination against women and organizational chaos. 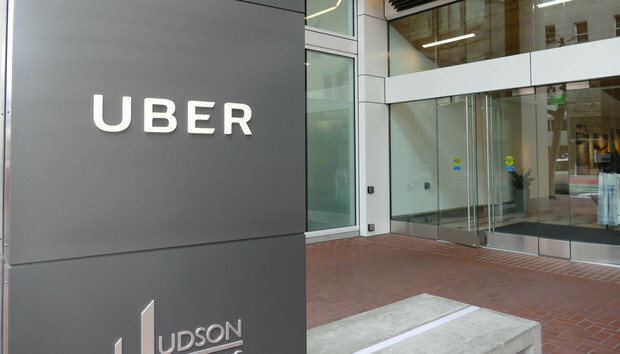 “Uber has taken a critical and important first step in directly confronting troubling claims of sexual harassment and other systemic issues that have cast a dark shadow on the company,” Jackson said in a statement. Besides diversifying its workforce, Uber should start at the top with its board of directors and executives, he added.